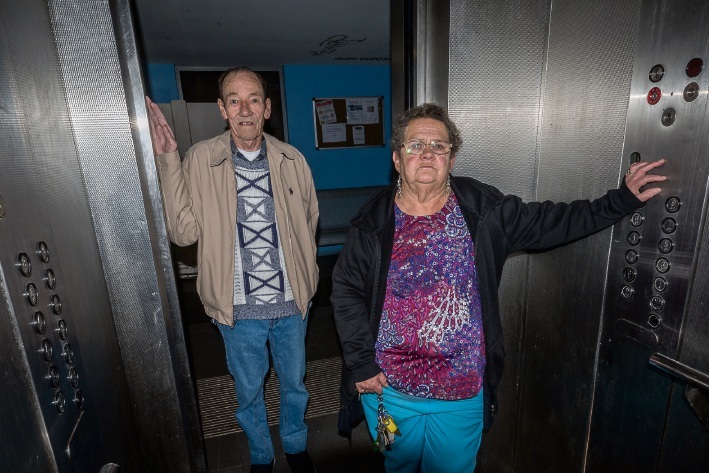 Brownlie Towers residents Sylvia Brandis and Brian Clark. BROWNLIE Tower residents will be moved to new accommodation in the next six to 12 months as part of the Bentley Regeneration Project, according to information provided by the Housing Authority. A three-page leaflet provided to the Canning Times said several options were being considered by the Authority for the future of Brownlie Towers, ranging from further maintenance and refurbishing the existing building to or site redevelopment. Timings for tenant relocation were dependent on the availability of public housing and the Authority had started contacting tenants about opportunities to relocate. The leaflet said the Authority would cover all reasonable costs of relocation, such as removal costs and reconnection of gas, electricity and phone services. It said the Authority, in consultation with the City of Canning and other key stakeholders, was planning the project that involved the revitalisation of about 26ha in Bentley, including the towers, and the development of up to 2000 new homes. The Authority was aiming to provide a mix of owner-occupied affordable housing, social housing and private residences in all new developments. Planning was still in its early stages, with development not expected to commence until mid to late 2018, with the project delivered in stages during the next 15 to 20 years.